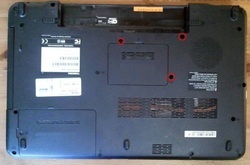 A660 A660D A665 A665D series laptop. 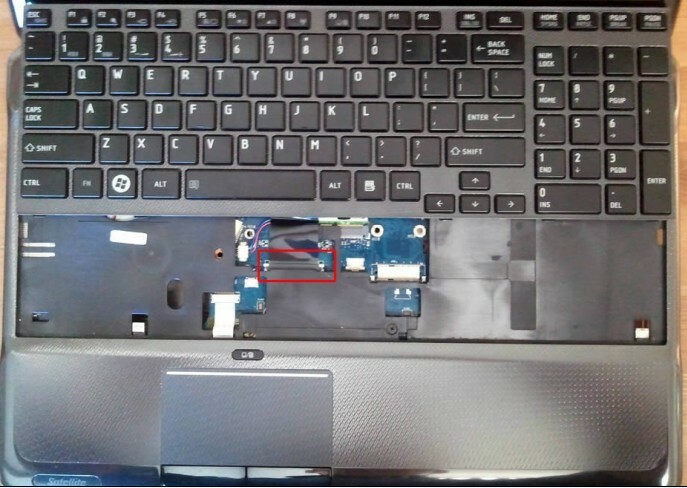 First of all, turn off your Toshiba Satellite A660 / A665, disconnect the power adapter and remove the battery. 1. 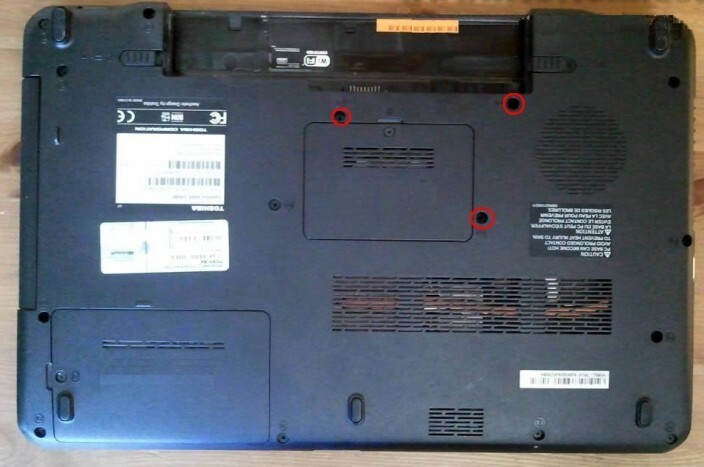 Remove three screws securing the Toshiba Satellite A660 / A665 keyboard on the bottom of the laptop. 2. 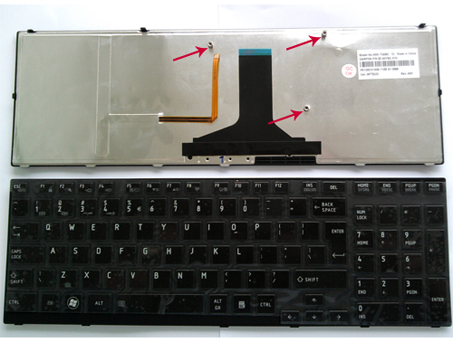 In Toshiba Satellite A665/A665D laptop the keyboard seated very tightly. You'll find a hole in the battery compartment. 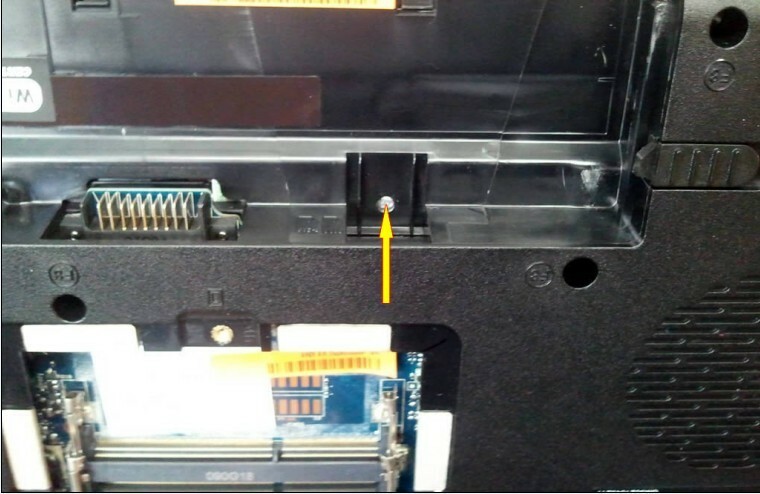 Push on the keyboard through this hole with a not very sharp object. 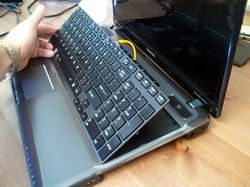 At the same time grab the keyboard with your fingers on the other side of the laptop. 3. Lift up the Toshiba Satellite A660 / A665 keyboard. 4. Move the keyboard towards the LCD screen so you can access the cable connector underneath. 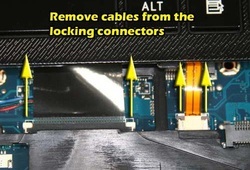 You must unlock the connector and release keyboard cable before removing the keyboard. 5. 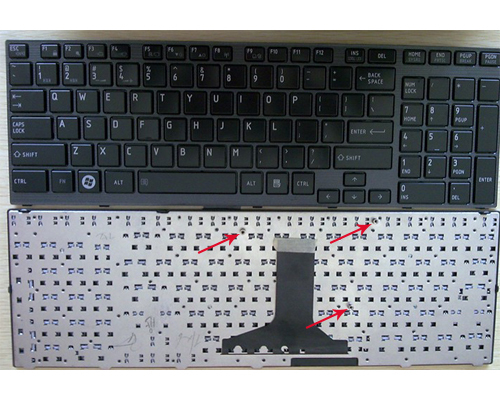 On this picture the keyboard connector shown in the locked position. 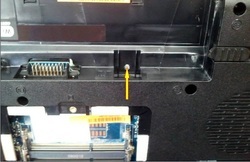 The connector has two parts: base (brown) which is soldered to the motherboard and locking tab (moving part). Using your finger nails move the locking tab about 1 millimeter towards the LCD screen. The locking tab must stay attached to the connector base. Do not move it too far. 6. 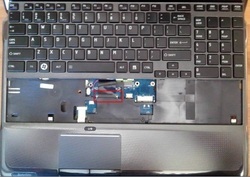 Remove the Toshiba Satellite A660 / A665 keyboard. 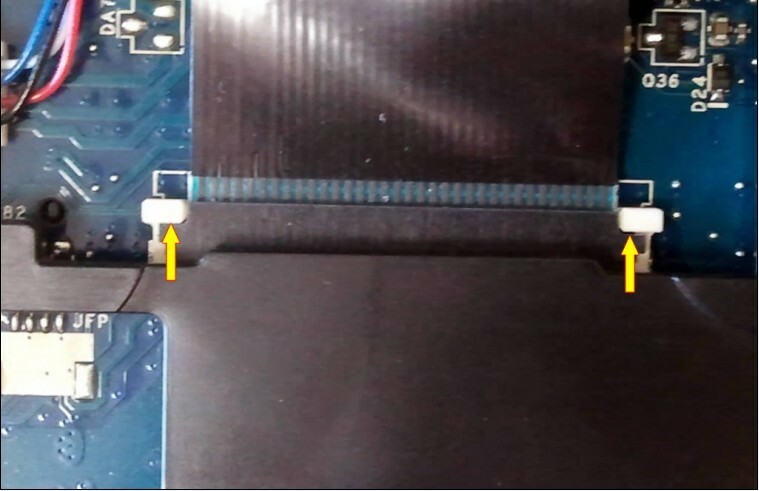 Some A660 & A665 series keyboard has the backlight, if so, you need to disconnect the backlight cable at the same time. Reverse the procedure to install the new Toshiba Satellite A660 A665 keyboard.